Gum disease is a bacterial infection caused by the buildup of plaque on the teeth and gums that results in inflammation of the tissues surrounding the teeth. 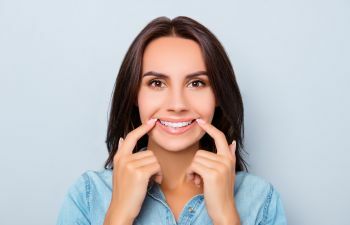 While gum disease begins as a mild, reversible infection of the gums (called Gingivitis), when not taken care of gum disease can have serious health complications if left untreated that may require restorative dental treatments. The mouth is full of living tissue that interacts with the entire body through the blood stream. Many studies done by the American Dental Association and medical journals have shown that gum disease can lead to life-long, and even fatal, diseases including heart disease, respiratory disease, arthritis and diabetes. Diabetes occurs when the body is unable to regulate blood sugar levels, most commonly from the body’s inability to process insulin. Not only is diabetes a symptom of gum disease, but it is also a risk factor for gum disease – making the care of the teeth and gums incredibly important for everyone. Columbia University did a study to see the link between gum disease and diabetes. According to their findings, patients with gum disease were more likely to develop diabetes than those free from gum disease. These findings were made even after considering other risk factors such as obesity, diet, age, and smoking. This study found a direct link between gum disease and the increased chance for developing Type 2 diabetes. The bacteria of the mouth can enter the blood stream through the living tissues and release toxins that impairs the pancreas’ ability to produce insulin. This results in the body having insufficient insulin levels to regulate blood sugar – exponentially increasing the risk for diabetes. At Gold Hill Dentistry, we understand the links between oral health and overall health. We want to partner with you to keep your mouth clean so that your entire body can be as healthy as possible. Contact our office today to set up an appointment with our comprehensive dental practice.